Having written many tv drama scripts over the years, I was asked recently if the experience helped when it came to writing my two novels ‘Kiss and Tell’, and ‘Defending Elton’. For those of a certain age ‘say what you see’ will be associated with the popular tv game show ‘Catchphrase’. I expect it’s a formula adopted all around the globe, but essentially it involves contestants trying to guess a popular saying from a visual ‘cartoon’, which is revealed square by square. ‘Say what you see’ is the catchphrase, whereby he encourages the contestants to think aloud, prompting them to guess the phrase being portrayed. It’s a saying however which could be turned on its head when applied to the construction of character in a novel. For rarely do we actually ‘say what we see’. Portrait of character can be painted as much through dialogue as descriptive prose. 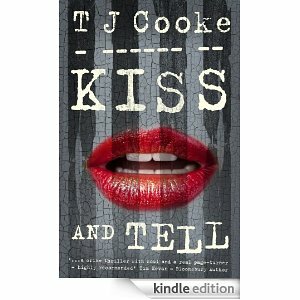 In ‘Kiss and Tell’ engagement with character is crucial to the unravelling of the narrative. Jill Shadow has to judge a number of people in a short space of time. Some of those people she has known for many years, some intermittently and some for only a matter of days. Her verbal exchanges with them hopefully tell us a fair deal, about both Jill and those she’s interacting with. The way someone speaks can reveal as much about their own background, education and status as any descriptive passage. Indeed, using the ‘show don’t tell’ principal, which is the core of many a writing class, dialogue is an essential ingredient. Many writers will say that it’s often a character’s ‘voice’ which can be the most difficult aspect to pin down. Through writing a number of different scripts, for a variety of dramas, I had been forced to concentrate on the art. So yes, it certainly helped, especially of course when it came to writing scenes which were largely dialogue based. However, the real key to writing dialogue is simply to listen. I’m not sure it’s possible to write with authenticity unless you are fascinated by all things human. Almost every other writer I’ve met has a deep engagement with the myriad marvels of life, and that includes the complexities of conversation. Jill Shadow is an interesting example when it comes to the verbal. The vast majority of lawyers still come from privileged backgrounds. Jill however breaks the mould. She was brought up on a rough and tough London estate, and had to learn how to cultivate an ‘acceptable’ court voice. There is a tendency for her to be quite thoughtful and deliberate in certain situations. On the other hand, when left to her own devices, say with her best mate Kate, or when otherwise totally comfortable with her company, she is likely to be more naturally fluid and expressive. What was really fascinating about Jill was that in times of stress and anxiety her old ‘street drawl’ would suddenly cut in to her more refined court manner. Though she’s often aware of this herself she sometimes struggles to stop it occurring. ‘Goodies’ and ‘baddies’ are essential ingredients in crime fiction, but aren’t they all the more intriguing when you have to work out who is who, and which is which? One drama guru, whom I came to admire, would often underline the importance of character in developing story. ‘Never put in a cipher to fit the plot’ he would tell us. ‘They stick out like a sore thumb’. Each character, no matter how trivial, ought to present themselves, as they see fit, and not merely be planted as a device. Dialogue is a crucial aspect of this ‘presentation of self’. True, there will be some who can’t help but give themselves away, with their dialogue flow and cadence being easy to read, but perhaps the most successful villains, and sleuths, are those who don’t readily ‘say what they see’. Indeed, those who are very aware of the presentation of self are often the most difficult to second guess, having an almost chameleon like quality. Having an acute ear, and really listening to the way people talk, is vital. Many folks communicate by way of banter, often being light in an effort to show that they are ’happy’ or ‘doing well’. Their real mood may range from mildly apprehensive to deeply troubled, but rarely do we overtly communicate this to others in a social or formal setting. These are a couple of examples of where it pays to be attentive to detail, and it can really help in exploring a character’s depth. Unless psychopathic, in the true sense of the word, a character will inevitably ‘feel what they see’, but might say something entirely different. Sometimes the best dialogue emerges when there is a natural juxtaposition, often involving a menacing or dangerous setting with a nervous and seemingly irreverent discourse. TJCooke was formerly a legal advisor to television dramas in the UK. Since then he has dovetailed his career between advertising copywriting, freelance journalism and screenwriting. His next book, ‘Defending Elton’ will soon be released. He is currently penning his third novel which will see the return of the popular character Jill Shadow. 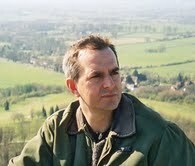 Tim has written for some of UK's most popular series, including London's Burning, The Bill and Bad Girls. Tim also wrote for Madson starring Ian McShane and Dreamteam, which follows the ups and downs of a fictitious premiership football club. He worked on a number of overseas projects including the setting up of Eastern Europe's first daily serial drama. He’s written numerous television and radio commercials for a variety of well known companies. He is Creative Director at Sounds Sorted, www.soundssorted.co.uk which is known for its innovative radio commercials and jingles.